Permanent Cosmetics, also known as Permanent Makeup, Cosmetic Tattooing, Derma-pigmentation and Micropigmentation, is a non-surgical procedure which is both safe and effective. 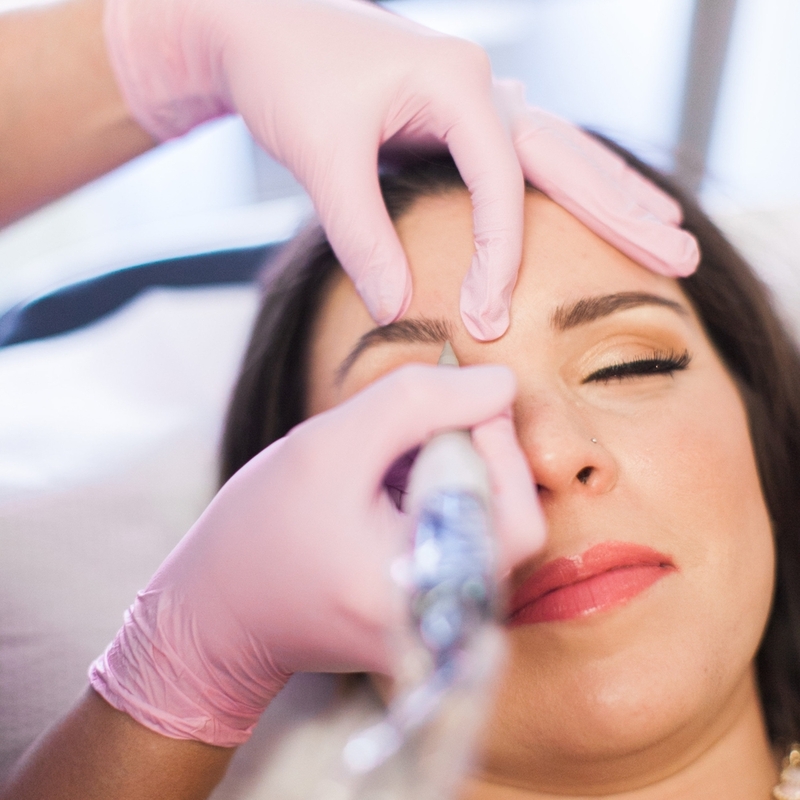 A topical anesthetic is applied and most clients agree that the procedure is far more comfortable than they had anticipated. There is a large array of services offered ... whether it be subtle eyeliner or a more dramatic look, the choice is yours. *Spanish Speakers: Lindsay does not speak Spanish. 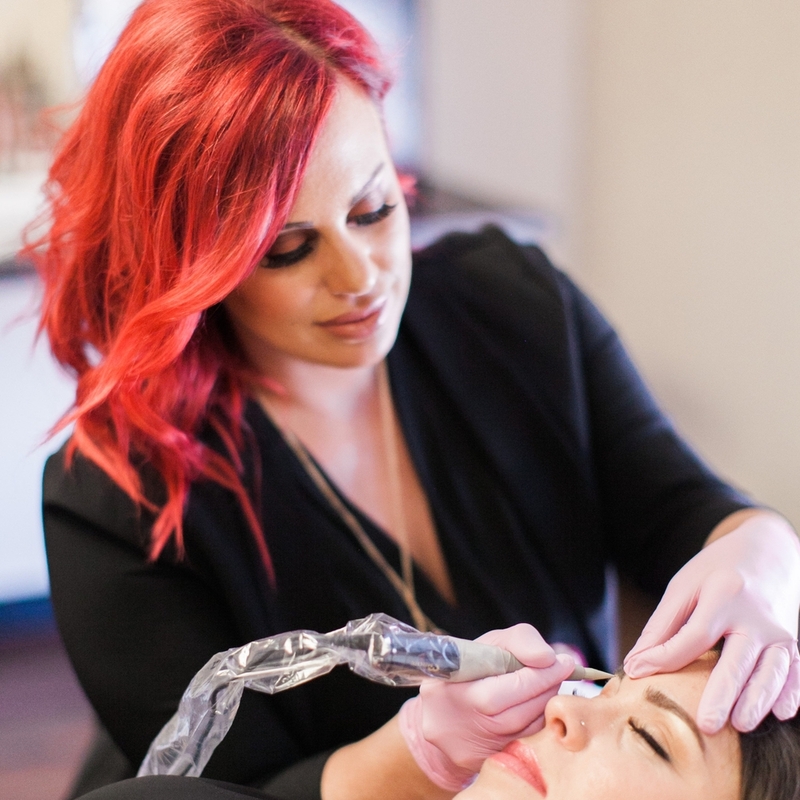 If you would like to book a permanent makeup appointment you are required to bring a translator to each appointment and they will need to stay for the entire appointment. Lindsay will be unable to do your permanent cosmetics if you do not bring someone who speaks English fluently. You will will be charged a fee if we need to reschedule your appointment due to this rule. * Spanish Speakers: Lindsay no habla español. Si desea reservar una cita de maquillaje permanente deberá llevar un traductor a cada cita y que necesitarán para la cita entera. Lindsay será incapaz de hacer sus permanente cosméticos si no traes a alguien que habla a Inglés con fluidez. Se se le cobrará un cargo si necesita reprogramar su cita debido a esta regla. Must be done during same day appointment. The touch up must be performed on the same day within a 6 month period. 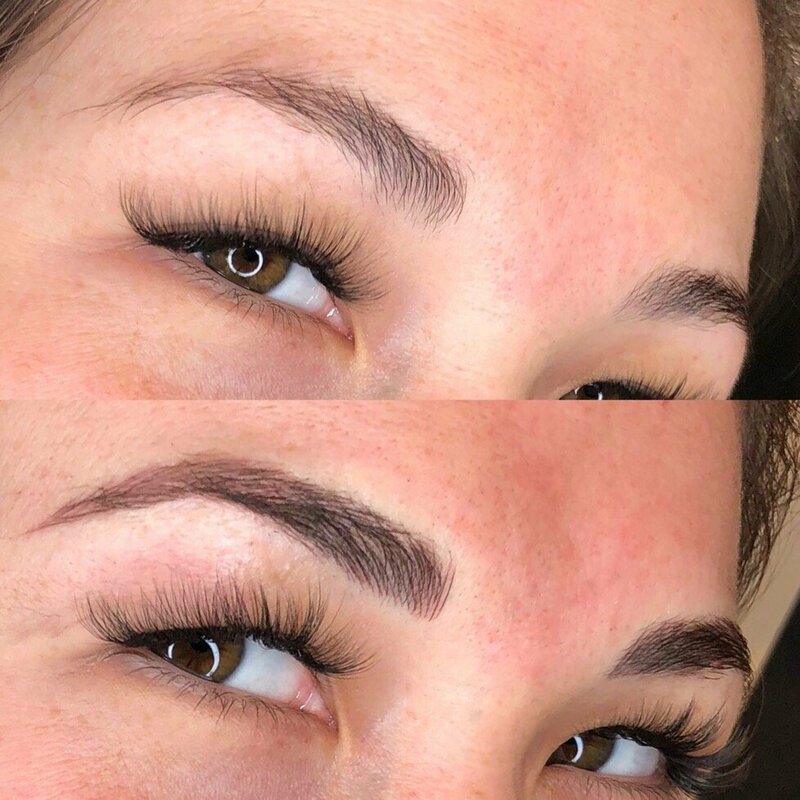 Q: What is Traditonal vs. Microblading? A:Traditional PM is with use of a machine and needs touch ups about every 2-3 years (give or take, everyone had different results) it has a more "Makeup Look" although can also look very natural. Microblading is VERY natural and hairlike. It is done with a hand tool and is more superficial (goes less deep) so it does not last as long 9-18 months. Q: If Microblading doesn't last as long why is is the same price? A: We do not price services on how long they last we price them on the time they take to do and the risk and liability involved. Remember: this is tattooing your face and it is very important we take our time and do a beautiful job. You will find place that will do it cheaper but if they are not at the skill level you are looking for you may end up paying more to have them fixed later. Q: I have had my brows done before somewhere else can I just get a touch up? A: No, since we did not do your initial tattooing it is very important we do at least 2 sessions with you. Most people do not realize they need a color correction since their last tattooing and that can take 2-3 some times even more sessions depending on the degree of difficulty. Most of the time touching up other work ends up being much more difficult. If you are looking for a touch up price you best bet to to go to the individual who initially did your PM. Q: What is the after care like? A: It is different for permanent makeup and microblading. Please be aware that both need to stay out of the sun for 2+ weeks and no pools, Jacuzzi, steam rooms etc. Microblading needs to avoid any water or moisture including sweat for 2 weeks. Please contact LML if you would like full after care information. Please don't schedule this before a big event or vacation. A: We have amazing numbing products. You numb for 25-30 mins prior to your appointment. Brows: Painless. We have had clients fall asleep while getting their brows done. Eyeliner: It is a bit uncomfortable. I would say it is painful it is just a weird tickling sensation. Most people are timid having someone around their eye with a needle but if you just relax and let it happen it is easier for Lindsay and the process is quicker and the results are better. Remember if you move Lindsay moves. She is resting her hand on your face. She has a very steady hand but if you bump her you could get a crooked line. Q: Will I get to see what they are going to look like prior to seeing at the end? A: Yes, Lindsay will draw on your brows after you numb and you two will talk about adjustments etc. She will use that pencil as a stencil to make sure they are exactly what you want. You can look at them throughout the process and can even make adjustments at your follow up appointment. Eyeliner will not be drawn on prior but you will discuss color and thickness and look at the liner as your go to adjust the thickness and shape. A: Permanent makeup is not permanent for life. There is no guaranteed time frame permanent makeup will last for. The color choose, skin type (where you fall on the Fitzpatrick scale) and your lifestyle can all be factors in the longevity of the PM. We have even seen skins that will not take the pigment at all. This is the risk you are taking having it done. Lindsay will do her best to give you the results you are looking for but there is never a guarantee. Q: Why did it last so long when I got it done 20 years ago? A: We have less aggressive machines now to prevent building a ton of scar tissue. Most of the techniques used that long ago were solid eyebrow designs. We do hair-stroking at LML and because it looks so real and natural it makes the tattoo fade faster. You are realistically looking at coming in every 2 years.